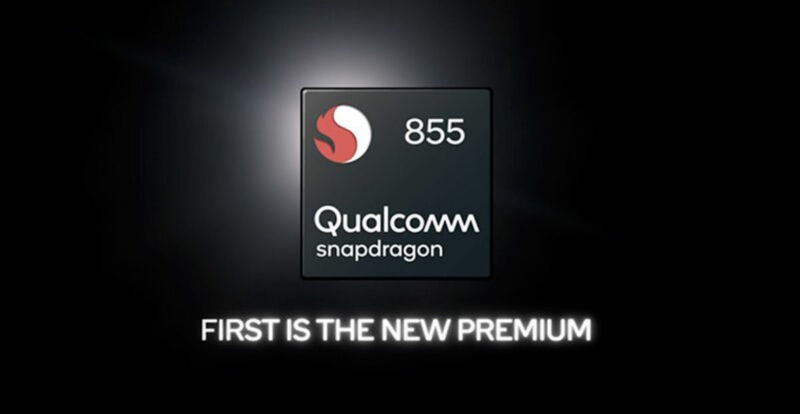 At its annual Snapdragon Tech Summit, Qualcomm announced the Snapdragon 855. Much like last year, Qualcomm shared hardly any specific details concerning the new chipset, but did provide info on a few of the things that makes it different from the Snapdragon 845. The big stuff includes a 3x performance improvement over 845, 2x performance improvement over competitor chipsets, 4th Generation AI Engine, the world’s first computer-vision ISP, 3D Sonic Sensor (ultrasonic under display fingerprint reader) support, Snapdragon Elite Gaming, and of course, support for mobile 5G. Qualcomm specifically mentions that Snapdragon 855 will be the processor powering next year’s 5G-ready mobile phones, so get ready to hear “Snapdragon 855” a lot over the next year. We’ll have all of the finer details tomorrow following Day 2 of the Snapdragon Tech Summit.